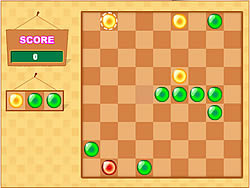 5 Glass Balls Game - FunGames.com - Play fun free games. Glass balls arranged in the same color horizontal, vertical and diagonal. 5 or more of the same color, can be removed. Black Cat Trick or ..